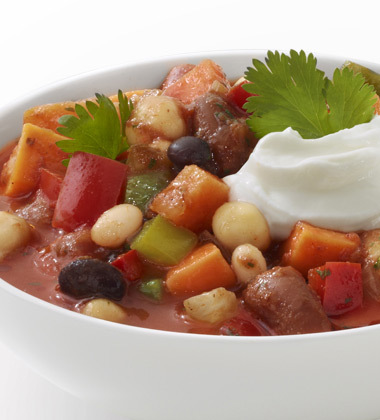 Simple ingredients come together in an unusual way to create a filling vegetarian stew teaming with beans, sweet potatoes and a hint of cinnamon and molasses. Vidalia onion, chopped	 38 oz. 2 qt. garlic, peeled, chopped	 2 tbsp. assorted bell peppers (green, red, yellow), diced	 30 oz. 1 1/2 qt. chili powder	 1 1/2 tbsp. 1. In large pan, heat oil over medium-high heat. Add onions. Sauté 4 minutes. Stir in garlic. Continue to cook 2 minutes. 2. Add peppers. Continue to cook, stirring often, for 5 minutes. Stir in seasonings. Cook 3 minutes. 3. 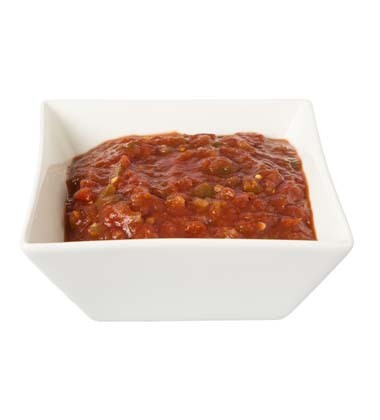 Pour in Pace® Chunky Salsa, V8® 100% Vegetable Juice and water. Bring to a boil. Reduce heat to simmer. low sodium kidney beans, canned, rinsed, drained	 5 lb. 3 qt. sweet potato, peeled, medium diced	 2 lb. 1 qt. 4. Add beans, sweet potato, molasses and Worcestershire sauce. Return to a simmer. Lower heat and simmer, stirring often, for 30 minutes. 5. Stir in raisins and cilantro. Continue simmering 15 minutes, stirring often. CCP: Heat to an internal temperature of 165°F. or higher for 15 seconds. 6. To Serve: Using an 8 oz. ladle, portion 1 cup stew into a soup bowl or mug. Top with 1 teaspoon cilantro and 1 tablespoon yogurt to garnish. 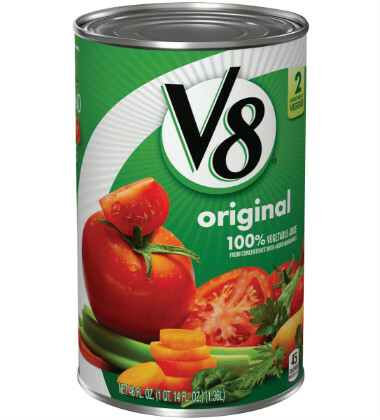 Vidalia onion	 38 oz. 2 qt. assorted bell peppers (green, red, yellow)	 30 oz. 1 1/2 qt. low sodium kidney beans	 5 lb. 3 qt. sweet potato	 2 lb. 1 qt. Can subsitute vegetable stock for water. Proteins could be added to this stew such as: turkey, chicken, pork, beef, sausage, game, etc. Topper: Use this stew as a topper for cooked proteins such as: grilled poultry or pork, braised beef or venison, roasted meats as well as a topper for other hearty grain dishes using rices, wild rice, sprouted wheat, couscous, etc.